Reasonable price but not very stable or easily adjusted. I would recommend a little more money and getting a better tripod. The tripod itself is of good quality and very stable. Is not more expansive than any other equivalent model. A small bag is delivered with it and this is very handy for transport. 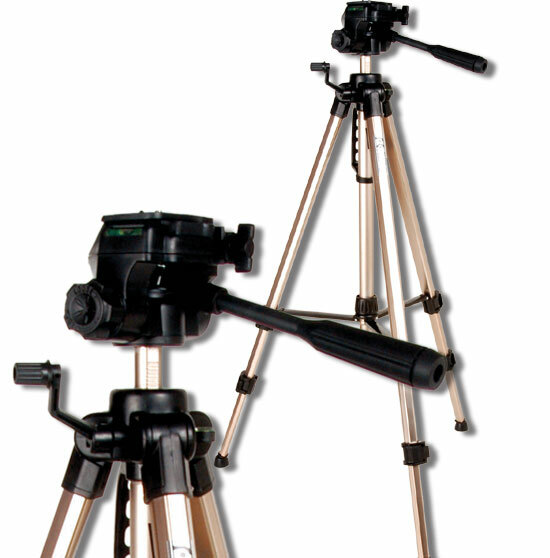 The CED Tripod is designed to provide a solid structure on which to position CED Chronograph systems. Constructed of a sturdy aluminum frame, with a "quick release" shoepanhead for easy fast mounting of the chronograph bracket. The tripod uses a standard camera screw mount and includes a bubble leveler, arm extension, and comes with its own custom carry case. 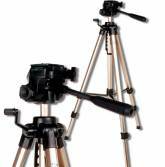 The CED Tripod is designed for handgun and rimfire rifle use. In cases where large full bore, magnum, or other high velocity rifles are being used, it is recommended that the chronograph is connected to a VERY heavy duty tripod or a table mount plate in order to prevent bracket or screen movement from the muzzle blasts. Such movement can result in erroneous readings or limit the actual recording area above the sensors.